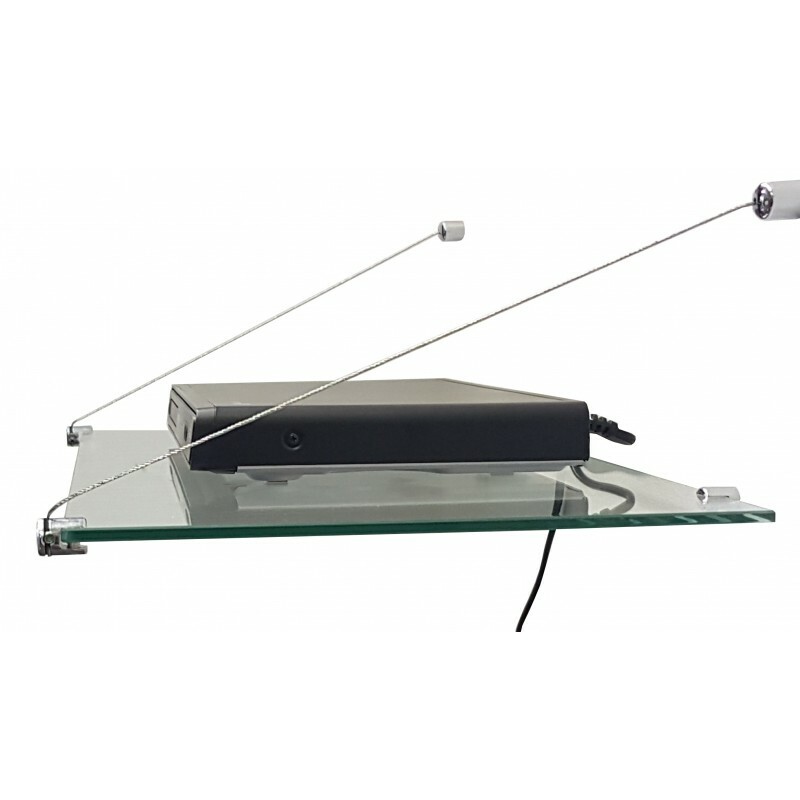 Strong hold suspended glass shelf holds up to 20 kg if wall is strong . Custom colour glass sizes & colours available. 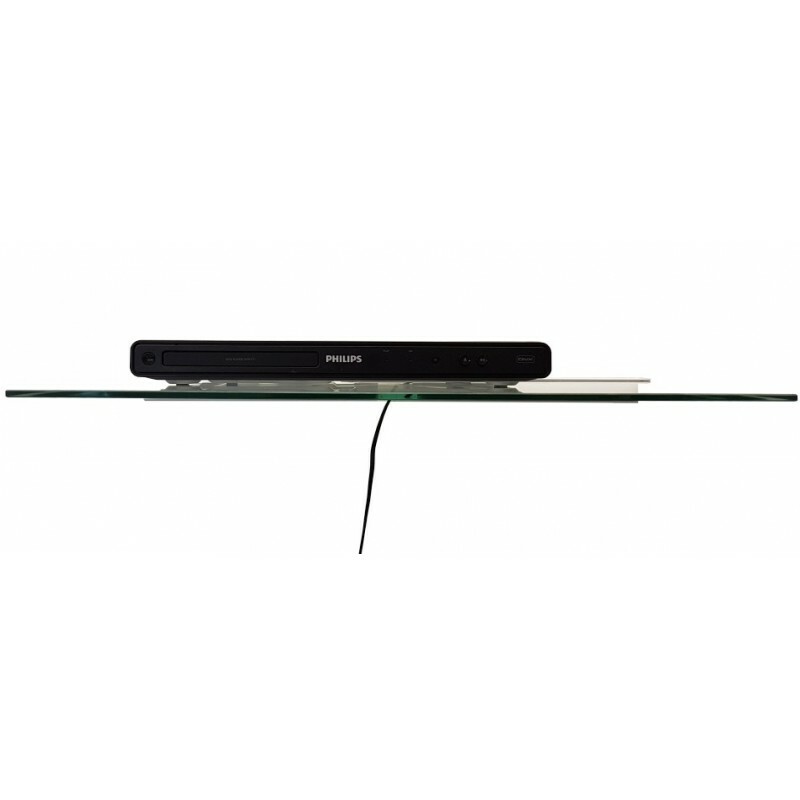 In multi shelf system you can choose the distance between 2 shelves. Work With all types of walls brick wall, dry wall, plaster board wall, wooden wall. 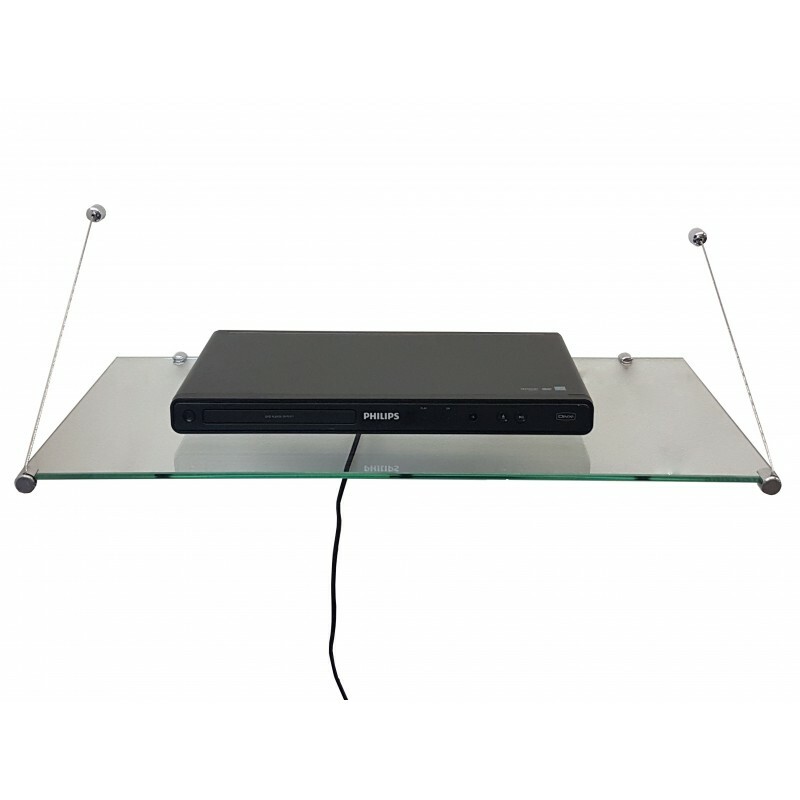 Strong hold Tv/SKY box shelf holds up to 10 kg. Shelves comes in 4 different colours and in different sizes. Work with all types of walls. 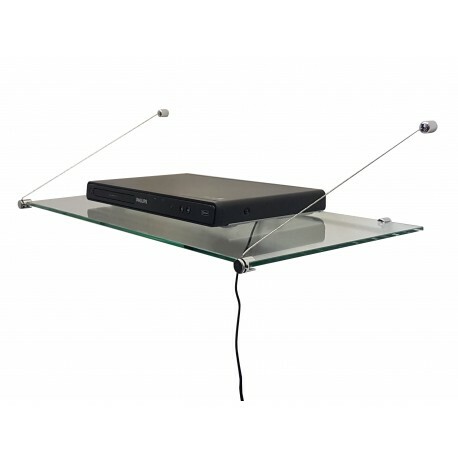 Comes with 2 meter long cables which you can cut to size. AUDIO VIDEO DVD Hi Fi Equipment.